Rosewood residents will have the opportunity to vote in party primaries on Tuesday, June 12, 2012. Voters can only vote in either the Republican or the Democratic primary. S.C. Senate District 20 has a contested Democratic primary, with Norman Jackson and Robert Rikard each seeking to become the Democratic nominee. The winner of the primary will run against incumbent John Courson in November. 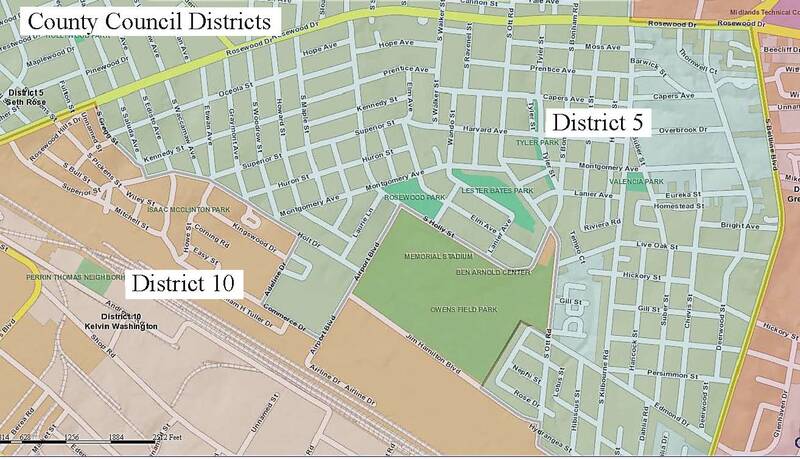 All of Rosewood is in Senate District 20 and all registered voters have the opportunity to vote in this primary. Click here for a map of Senate District 20. S.C. House District 75 has a contested Republican primary, with Jim Corbett and Kirkman Finlay battling it out to be the party’s nominee in the November election. District 75 encompasses about one-third of Rosewood, along the eastern edge of the neighborhood. The winner will run against Democrat Joe McCulloch in November. Incumbent James Harrison is not running. 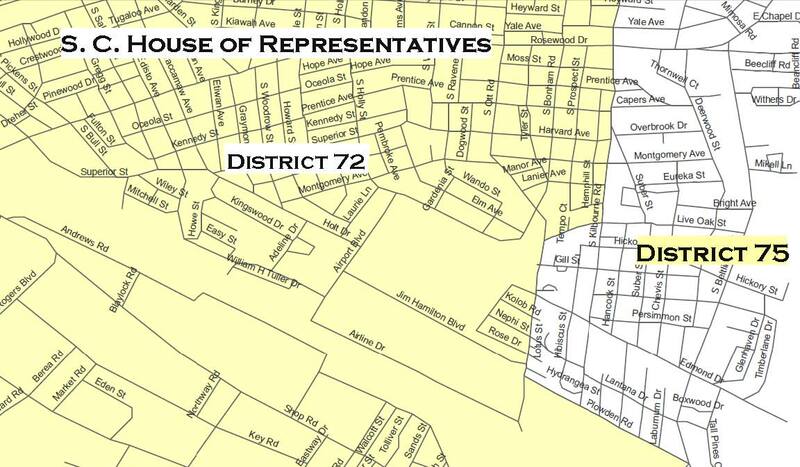 There are no primaries for District 72. S.C. House of Representatives in Rosewood. 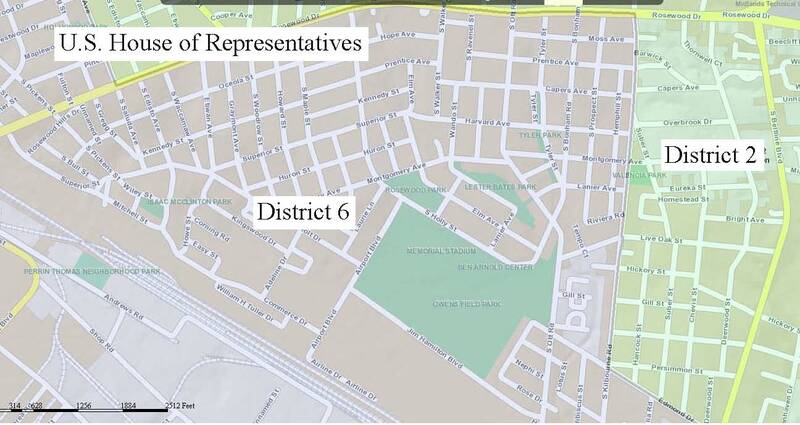 Voters in District 75 (represented in white) may vote in the Republican primary June 12. Click to enlarge.